Spring Creek is a private school for highly motivated, gifted and talented students. Our focus is on smaller class sizes and flexible class schedules. Now Enrolling Students for 2019 Summer School Classes! 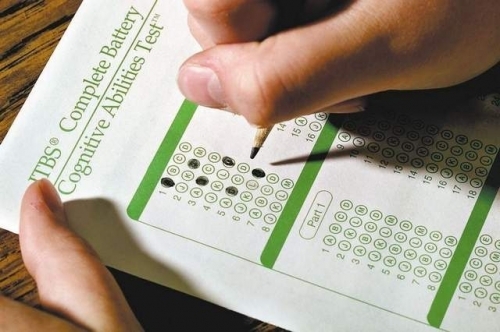 Spring Creek Academy offers IOWA testing for prospective students or anyone looking to evaluate their child's educational development. Now Enrolling Students for 2019-2020 Academic Year! For more information, please call 972-517-6730. Congratulations to Maro Reppas for her accomplishments this past weekend during the $5,000.00 USHJA National Hunter Derby at the Thanksgiving Show in Waco, TX! The National Derby is a Hunter Division where the Rider & Horse are technically judged while riding a course, with jumps ranging in 3'0 feet to 3'6. This event is open Juniors thru Professionals. Maro entered riding 2 horses. She finished 1st & 4th, which with the first place win; she automatically qualified that horse to National Derby Finals. The "Derby" always has money prize for the top riders. Derby's require more than one judge, to ensure objective scoring. She also competed in 3'3 Junior Hunter Division with two entries (two different horses). She rode amazing and finished Grand Champion (1st place) and Reserve Champion (2nd). We are excited to be spotlighted on the TPSA website for November. Special thanks to all our teachers, parents, and students for their support in helping make our school what it is. 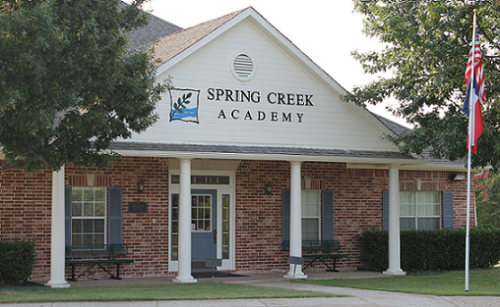 Spotlight on Spring Creek Academy in Plano. Their goal is to provide a learning environment conducive to success with class size averaging eight qualified students. Our Winter Charity Drive has begun! As a reminder, Advanced/Honors workshops are canceled for Friday, November 16. We hope everyone enjoys their Thanksgiving! Brooklynn Bloxom, Ashlyn Fiorilli, and Caroline Simmons all signed their National Letters of Intent today. We are proud and excited for these young ladies. Brooklynn is a gymnast and received an Athletic Scholarship from Bowling Green; Ashlyn is a swimmer and received her Athletic Scholarship from University of California at Berkeley; and, Caroline will be a part of Azusa Pacific's Acrobatics and Tumbling Squad also receiving an Athletic Scholarship.